It goes without saying, 2018 was a BIG year for CNSI. We continue to innovate and evolve in the Health IT space with the agility of a small start-up—even though we are now nearly 1,000 employees spread across the globe. This year has brought with it a new ownership team, new contracts, industry awards, and—most recently—a new CEO, Todd Stottlemyer. With all that change, it’s important to maintain a focus on the importance of leadership as a stabilizing force throughout the organization. 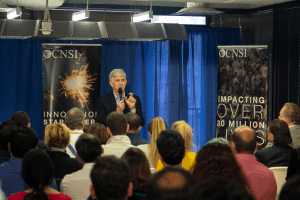 Last week, Todd held an introductory all-employee town hall in which he introduced CNSI to his vision for the company as he becomes its new steward. He described working with employees up and down the corporate ladder to deeply understand CNSI’s culture and operations. When asked by one of the employees what Todd’s vision is for evolving CNSI’s culture, his response was not only strategic but heartfelt. To reinforce the leadership theme that has permeated the last quarter of 2018, we held an all-day Technology leadership meeting this week. The day offered CNSI’s Technology leadership team a chance to learn from one another in a relaxed, collaborative environment. 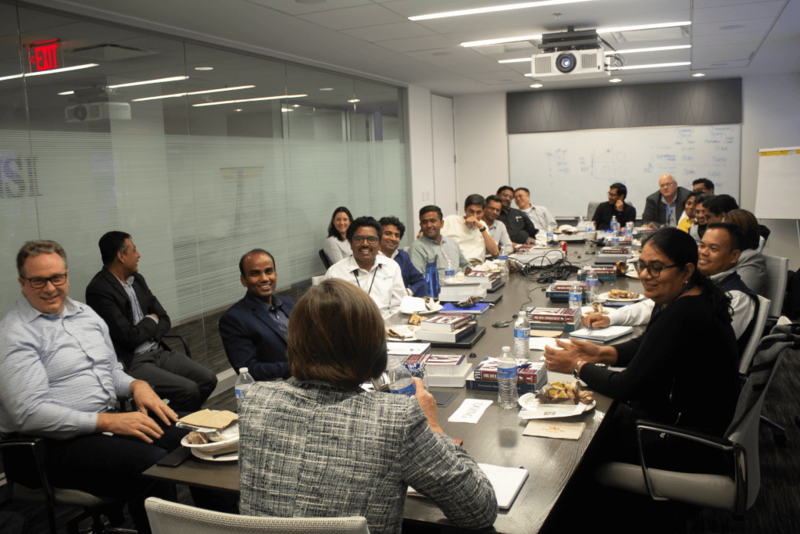 Featuring sessions like “voice of leadership,” “leadership in a matrixed environment,” and “role of a resource manager,” the event tailored the lessons directly to CNSI’s work environment. At CNSI, we understand that leadership requires constant attention and care. And developing the next generation of leaders doesn’t just happen on its own. We’re committed to being around to improve the delivery and cost of health care for a long time, so we’re going to maintain our focus on leadership, day-in, day-out. This concept of leadership has and will continue to be an area of focus as we enter into the new year, begin new work, create new innovations.